On Monday afternoon, I returned home from work and, like every day, I logged into Pandemic Legion’s out-of-game IRC network. Immediately I was flooded with pings, both in the alliance channel and the supercapital channel, calling for Slowcats and supercapitals. Usually, I check in on IRC Just to stay up-to-date with the Legion, then I write some work related emails or reports, get up, and spend some time with the family. This Monday was different though. I put my headset on and logged into mumble to listen to our FCs: Manfred Sidious, Makalu Zarya and Vince Draken. My corp mate, Lost Exile, pinged me on IRC and told me his version of what was going on. I’ve known him for about four years; we were in the same corporation when my first alliance, Ushra’Khan, was disbanded by a rogue member in 2010. Memories of that day flashed into mind: how I was locked out of all my assets; everybody panicked; doing damage control for the alliance. This day, however, I was prepared for such a turn of events; my focus was immediately upon combat. Lost Exile told me that he was in Manny’s fleet to stop some fires in the Drone Regions since 04:00 that day with his new Aeon (he upgraded from a Nyx the Saturday previous). After downtime, B-R5RB became a problem and our allies could not prevent the station from being flipped to RAZOR Alliance. After 10 minutes it was clear to me that the day held serious internet spaceship business. I suspected it was going to be a long night. I got up and went over to my wife. There was real life stuff scheduled for that evening, so I gave her a short explanation and asked her if we could move things to Tuesday. She simply nodded; I signed off a virtual debt letter. She knows me too well. Back on comms, I saw that all carriers and dreadnoughts undocking from the station were being killed very fast, so I decided against dual boxing Archons. Instead, I logged my Aeon in, joined one of the fleets announced in IRC, and jumped out… just to cap up and jump back into the Wrecking Ball. While it sounds simple, the heavy TiDi already in place made this simple chain of events take about a half hour. For the next nine hours I followed orders, applied DPS to titans, and tried to delay the death of friendlies with remote armor repairs. I listened to comms, followed IRC, watched the now famous Nickfuzzeh stream, delivered the news about the grim battle raging on station to corp members as they logged on, and fought the heavy module lag. Sometimes I yelled at Lost Exile to see if he was still awake. Around 01:00 I decided to extract my Aeon if possible. Due to work obligations, I had to try to jump out or log off by 02:00. Soon, I realized that escape was not possible within my given time frame due to TiDi. I ordered my fighter bombers back to the dronebay and told Lost Exile to stop feeding me cap so my Aeon could lose aggro. At 01:50, finally, my aggro timer started to go down and I logged off. I wished Lost Exile good luck and went to bed. I was so exhausted that I fell asleep in seconds. Four hours later, I rejoined mumble to see Lost Exile still awake and active. Joking that he barely knew his Aeon before it died, Lost Exile was in the process of smartbombing bubbles off of himself and other friendly titans. I was scrolling through IRC to catch up on numbers when suddenly Lost Exile pronounced that he was free of the bubbles. I could hear the relief in his voice as the jump drive finally kicked in and he escaped. He was up for two days, fighting as long as he physically could. I promised to update him whenever he awoke from his impending coma. o7 to a true hero! For the next few hours my eyes were glued to my twitter stream and zKillboard. About an hour after downtime, I was finally certain that my Aeon survived the battle, though it was still trapped on station grid. After work, I returned and logged in my characters in the B-R station and started to pack my carriers with ships and modules. I always followed my own rule: never have more in the station than you really need and have multiple clones. In that moment, I realized that I jumped my JF alt out of B-R on Monday morning. Damn. 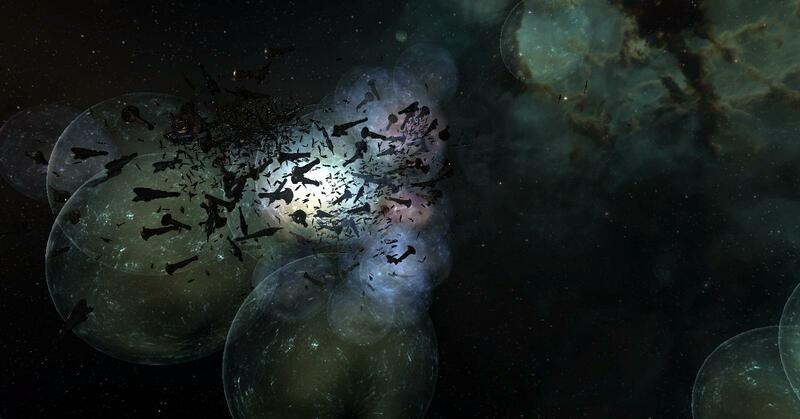 About 10 billion ISK in seeded market items were trapped. In the meantime, orders were given out to be ready for flash formed breakout operations with no notice in advance. I hurried to fill my carriers with as much value as I could. Since the drama back in 2010, I travelled light. After packing, my hangar only held a ShieldCat and a hauler, plus 1 billion ISK in assets. My two Archons were ready to go, carrying about 30 billion ISK in assets and ships. I was lucky enough to still have characters in station. A corp member, who was not so lucky, was facing a bad situation: his carriers and ships were trapped, and he had no clone left in B-R. I offered to haul his stuff out, since I had a second jump clone in station; an offer my corpmate gladly accepted. Having taken care of what I could, I logged out and turned the volume of IRC pings to a maximum. The waiting began. I logged both Forlorn and my Archon alt in immediately following Grath Telkin’s rage ping on late Wednesday evening. I joined comms, saw local at 350, heard Sala Cameron talking about an exit system and fleet name, undocked, and saw an allied fleet clearing bubbles and interdictors from the station undock. Freedom! PL and their allies had about a two minute window to escape the B-R station before the CFC had a chance to bring enough pilots to stop the evacuation efforts. After five minutes the allied fleet controlled the undock again; more pilots were able to break out. Within 10 minutes, most of the EUTZ pilots were able to move to a new staging system, while the scattered supercapitals formed up and moved together under our cover. However, supercapitals that were still logged off on the B-R station grid were told not to log in. Those would have to wait for later operations. I jumpcloned Forlorn back to B-R to be ready for the next breakout with the contracted Archon and logged off again. The situation looked much better now, since most of the pilots of Pandemic Legion were now able to use their own ships again freely and our FCs could start breakout ops without cover from allies, who were also busy with their own operations. The next morning I saw that there is currently another breakout op going, so I logged in to escape yet again. To my surprise, Grath Telkin declared that we could dock in B-R, and clone there as well, thanks to an agreement struck with the CFC. Anyhow, I joined the fleet and jumped the carrier out. 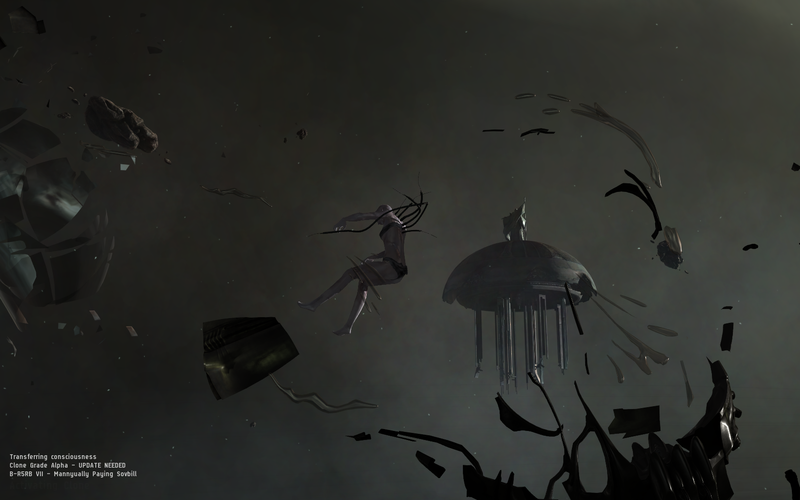 I also moved my JF alt to B-R and kept on moving assets from individuals and corp. After an hour, everything is out of B-R including salvaged modules from destroyed HABIT titans (which overall were worth 60 billion ISK). I left a cyno alt there and some ozone plus cyno gens. At this point, my only remaining asset in B-R was my Aeon. Orders were updated again for logged off supercapitals on the station grid; I was confident that I could jump it out within a reasonable time frame. Nothing is more important than patience… which eventually paid off as I was able to extract my Aeon. I will not go into details regarding how and when, but without a spy network it would not have been possible. o7 to all involved! At last, there was only one thing left to do in B-R: move my alpha clone cyno character out of the system. Luckily, CCP placed the Titanomachy near the B-R station during downtime on Friday. As I was sure that CFC would ‘protect’ the new EVE landmark, I decided that it was only right for my cyno character to get podded there. And that was my goodbye to B-R!